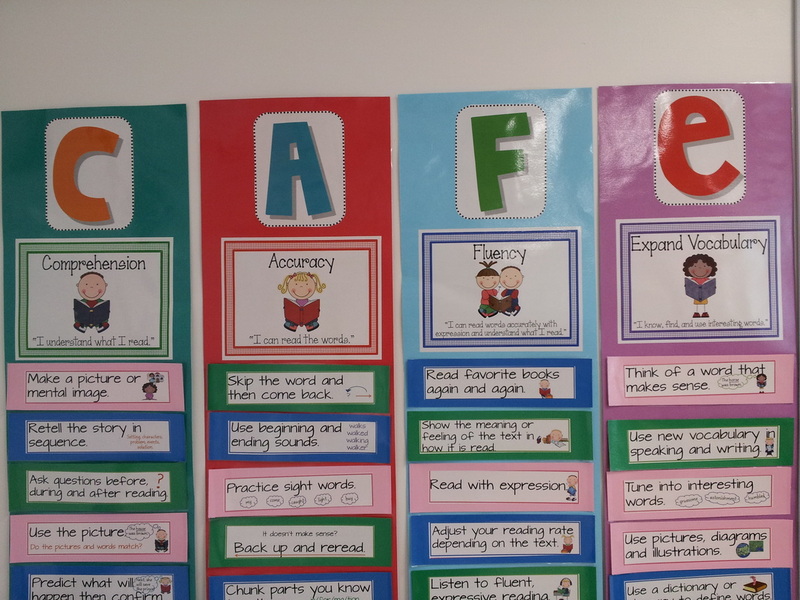 Literacy "CAFE" is an acronym for "Comprehension", "Accuracy", "Fluency" and "Expand Vocabulary", a system to help students understand and master different strategies used by successful readers. The process of individual conferencing and goal setting help the students to reflect on themselves as readers. Throughout the school year, students in Grade One will practice a variety of strategies in order to develop life-long reading skills. Here are some of the strategies we practice in Grade One. A comprehension strategy that teaches children to stop frequently and check, or monitor, whether they understand what they are reading. This typically is a quick summary of what they have read, starting with "who" and "what". When meaning breaks down, going back and rereading again to understand the meaning of the selection. An accounting of a story's key points, told in sequence. A retelling usually includes characters, setting problems, and solution or the main ideas of the text. It involves telling what is important in the story without telling too much. - Cross Checking... Do the Pictures and/or Words Look Right? Do They Sound Right? Do They Make Sense? Cross Checking is a strategy for ensuring the words (and sometimes pictures) make sense and match the letters on the page. - Use the Picture... Do the Words and Pictures Match? Using illustrations, photos, graphs, maps and charts to help gain meaning from text and confirm that the words being read make sense. When reading a word, using the sounds at the beginning of the word as well as at the end of the word. 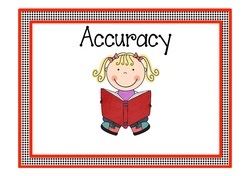 To foster fluency and comprehension, students are engaged in high accuracy or high success reading, so most of each student's independent reading time is spent with material they can read with 99-100% accuracy. Students reread a selection of text several times until they can read it smoothly, accurately, and with expression. Children recognize at first sight the most commonly used English words found in reading. Many of these words are irregular words that do not follow a decoding rule or pattern. 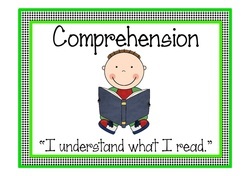 Once readers remember these words, they can read them quickly and understand what they read. 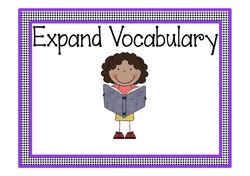 Students build word awareness and the understanding of words so they have "thinking power" left in their brain to comprehend and make meaning of what is read. 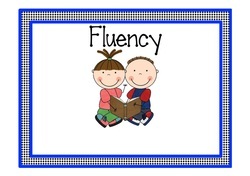 Readers increase their vocabulary by paying attention to pictures, illustrations, and diagrams. They use the context of the story, their background knowledge of what is being read, and at times infer to gain meaning of the word and text. When readers have a question about the meaning of a word, they ask someone to tell them what the word means.